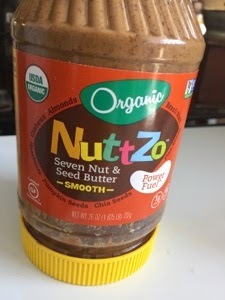 I wanted to like this Nutzo Organic Nut and Seed butter but I didn't. I love the almond butter, which has gone up to $15.89 at my Costco. I'm afraid it's going to be dropped. 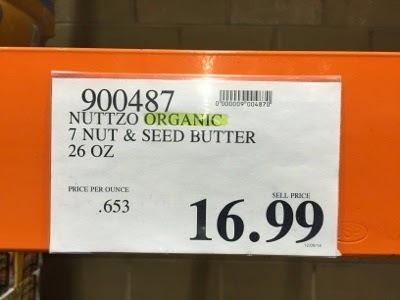 The Nutzo butter contains almonds, but also chia seeds, pumpkins seeds and others. The consistency reminds me of peas or lentils, which is not my favorite. The flavor isn't my favorite either. If Costco drops the almond butter I hope they get another cashew or almond butter rather than this. 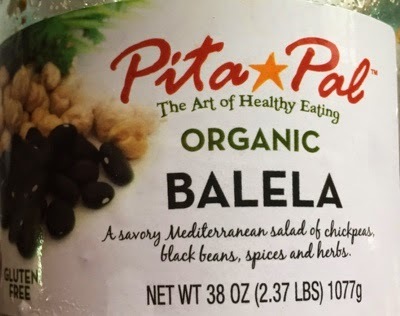 I saw the Pita Pal Balela salad with chickpeas and black beans at my Nashville Costco and figured if we didn't like it, I could easily turn it into hummus, so I purchased. The tub is $7.99 for 38 oz. or 2.37 lbs. I think if you eat a great deal of Middle Eastern food and are not bothered by raw onions, you would like this. 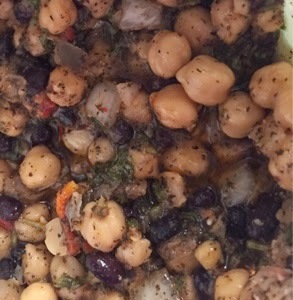 The large container is hard for a small family to consume, but, for a large party, this would be a nice side dish. It's organic, but I'm not at the point where I care about that. 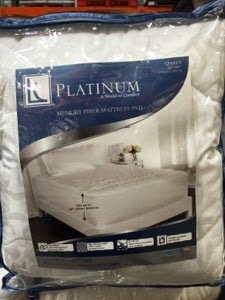 I'm very happy with my new LIve Comfortably Platinum mattress pad, which was a product sent to me by the manufacturer with a request for a review. My old pad was 100 cotton. The replacement is 100 cotton (400 thread count) but has Dacron fill. You can see from the photo that it fits a deep (18 inch) mattress. I need to admit that I have a loving relationship with Dacron. I was an extremely allergic child, and Dacron was one of the few materials that I could be around. The puffy fill on the top of the pad are fluffier than my old mattress pad and more needed by my memory foam mattress which doesn't have the top padding that old-style mattresses have. My Costco has these for $29.89, which seems inexpensive. The new Dacron fill mattress pad at Costco is an upgrade for me. Left with lots of chocolate covered almonds, I needed to develop a plan. Whisk together eggs and oil, add sugar and stir until smooth. Add flour and baking soda, beat until lumps are gone (I did this by hand.) add candy and stir until well blended. Put 1/4 cup mounds, 6 to a baking sheet (cookies will spread out), cook at 350 for 12-15 minutes, until golden brown. Let sit for 2 minutes, move to cooling rack. 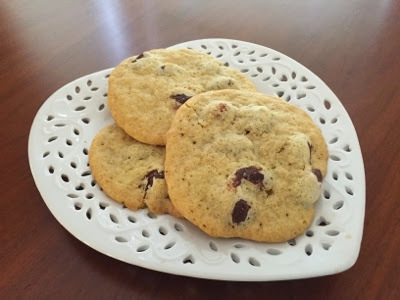 Store in cool and dry place, cookies are better after 48 hours. Ordinarily, not my style, too processed, but I needed an Asian dish for Bookclub and these were on sale at my Costco. The breaded white meat chicken pieces taste just like sweet and sour chicken from a Chinese restaurant. Each box contains 2 frozen bags of coated chicken pieces. I was able to serve 5 bookclubbers (admittedly one is vegetarian) with one bag, and have enough leftovers for another meal for Jacques and me. For as tasty as these are, the 260 calories for one cup seems low. 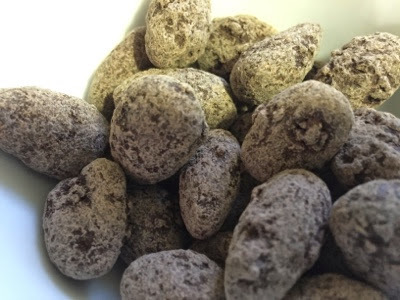 The package contains about 13 servings. I paid $12.49 after a $3.00 off coupon for the box of 66 oz. (4 lb 2 oz). I remember making sweet and sour chicken from scratch about 20 years ago. 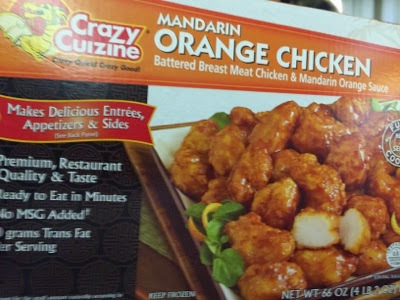 It took all afternoon and the taste was no better than this Crazy Cuizine Orange Chicken.